Until the development of the modern Interstate Highway System and modern commercial aircraft, the railroad depot was the gateway to the local community for both goods and people. As time went on, the railroads no longer had need for these buildings and many became neglected and were demolished. Fortunately, some communities realized the historical importance of their railroad stations and took the steps to save and restore these icons. Blackhawk is involved in many of these projects. 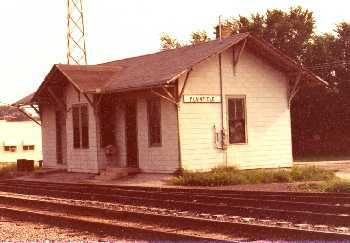 ﻿The 1881 Wabash, St. Louis & Pacific depot from Symerton, Illinois (on the line from Chicago to Decatur) was moved in 1979 board-by-board by the Will County Historical Society to a site in downtown Lockport to be part of their Frontier Village. In 2009, the Frontier Village was put in storage, and in 2012, moved to a new location on 2nd Street in Lockport. Blackhawk has carefully restored the depot's exterior and interior and members serve as guides on when the depot is open during various community festivals throughout the year. 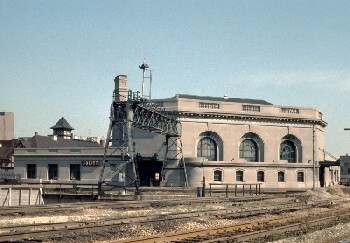 Blackhawk provided financial support and consultation on the restoration of the Chicago & Eastern Illinois depot. The village took their depot back and put it into its original location after years of sitting at a private winery in nearby Monee. 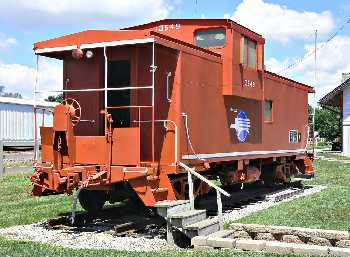 Also on display at Beecher, next to the depot, is former Missouri Pacific caboose #13649. Blackhawk is working with the Beecher Historical Society to replace the badly fogged Lexan windows in the caboose with non-fogging safety glass. 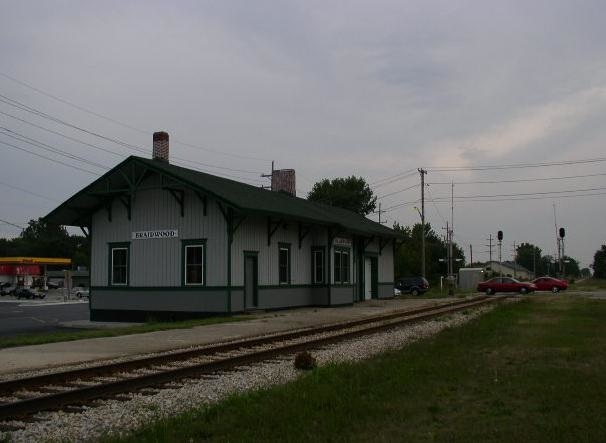 On September 18, 2010, Blackhawk noted the historical status of our hometown station with a formal ceremony recognizing the station's 150th anniversary. Built for the Chicago, Alton & St. Louis, the depot has served Lockport as a railroad depot for over a century and a half. To celebrate the 100th anniversary of the opening of Joliet Union Station, Blackhawk held a banquet in the Grand Ballroom at Joliet Union Station, the former waiting room, recreating the banquet of 100 years ago celebrating the building of the station and the raising of the tracks out of the streets of downtown Joliet. For their efforts, the Blackhawk Railway Historical Society was presented the 2013 City of Joliet Historical Preservation Award by the city. Blackhawk has also taken the lead on keeping track of developments with the city's project to update the station area into a new Joliet Gateway Center, including preserving and protecting the original station and the interlocking tower. Located on Metra's former Rock Island line, this 100-plus-year-old brick depot was in danger of demolition as the village wanted to give the land to a national drug store chain. However, thanks to community involvement, a last-minute effort to save the depot was successful and the depot will be moved to a farm in nearby Homer Glen. Metra passengers will be given a trailers to use until a new depot is built slightly to the east of the current one. We will be covering the depot's removal and future plans as they develop. 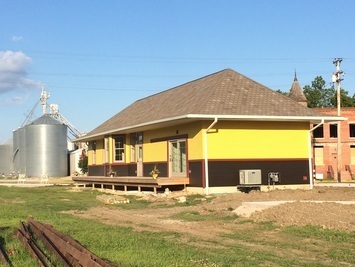 Blackhawk was consulted on the restoration of the Rock Island depot, now home to the Morris Chamber of Commerce. Society president Bill Molony wrote an article on the history of the Morris depot for an issue of the official magazine of the Rock Island Technical Society. 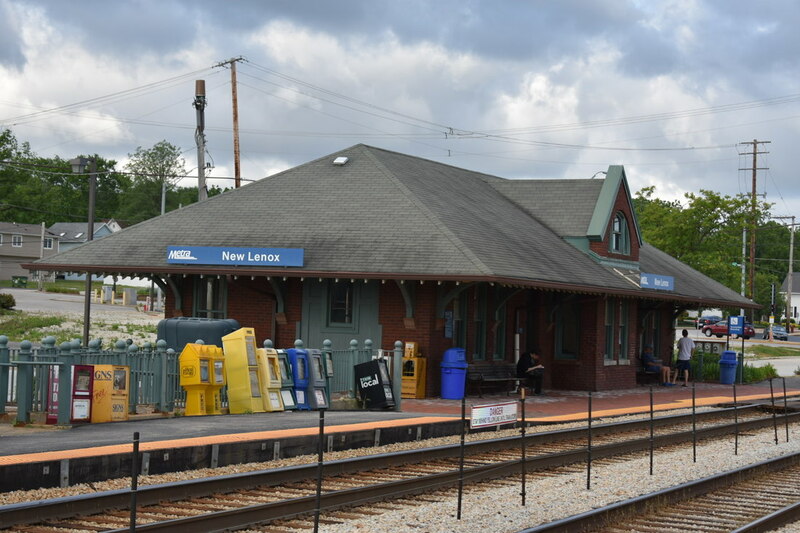 The Plainfield depot was originally built in 1886 by the Joliet, Aurora & Northern Railway and served both freight and passengers from 1886 until 1907. The JA&N was was absorbed into the Elgin, Joliet & Eastern. The “J” allowed passengers to travel in the caboose on freight trains into the 20th century. The depot was in daily operation with a freight agent until 1978. 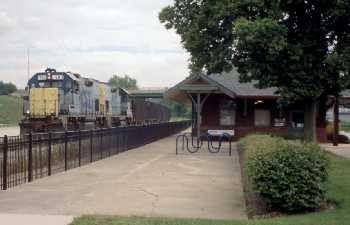 In 1996, the railroad donated the depot to the Plainfield Historical Society and it was moved from its original location on the east side of Plainfield to just west of the DuPage River on Lockport Street at Van Dyke Road along the Canadian National's former EJ&E River Line from Plainfield to Minooka. On Saturday August 5, 2006, Blackhawk, along with the Plainfield Historical Society, sponsored an open house of the depot, giving people an opportunity to see this well-done restoration up close. The depot is open from 1 to 3 PM every Saturday. 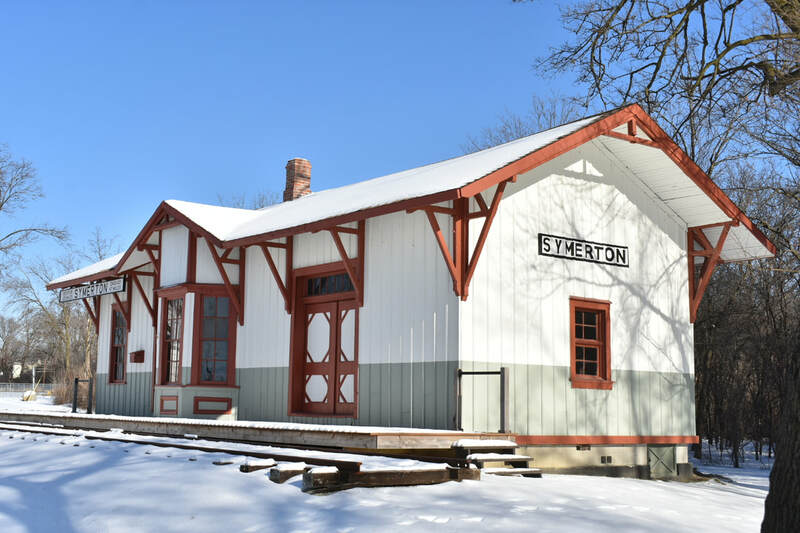 ​Located on CSX's former Rock Island mainline in the Illinois River Valley, Seneca's depot sat frozen in time since the Rock's 1980 shutdown. Now the Seneca Regional Port Authority and the Seneca Historical Guild have begun to restore the 1912 depot to be used by both organizations. ​Blackhawk members consulted with Seneca on the project and you can click here to follow their progress. 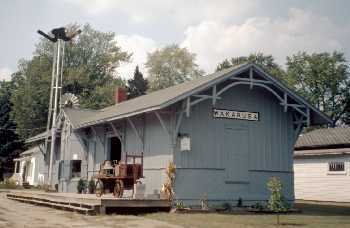 Located along the now-abandoned former Wabash line across Northern Indiana, Blackhawk supplied original plans and consulted on the restoration of the Wabash depot, including the total reconstruction of the once-demolished baggage section of the building. 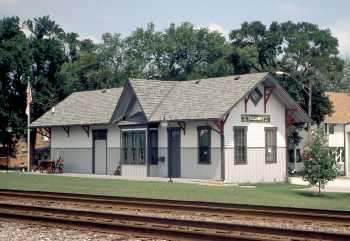 Blackhawk had encouraged community support and donated funds for the preservation of this former Chicago & Alton depot, working with the Wilmington Depot Association. 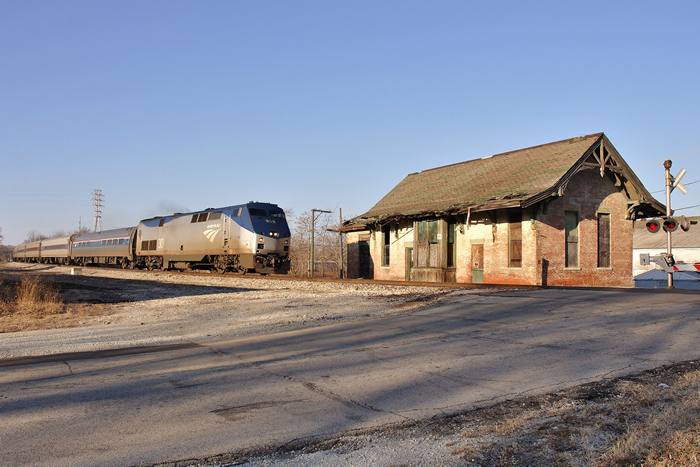 Unfortunately, numerous factors stalled plans to move or restore the depot and it was demolished in early 2012 to make way for an additional track and new bridge across the Kanakee River on the high-speed rail corridor between Chicago and St. Louis. Participated in the opening ceremonies for the new commuter station at Tinley Park, Illinois (Oak Park Avenue) in 2004 with a display of classic Rock Island photographs and memorabilia. Dwight, Illinois Chicago & Alton station and also at the 2016 opening of the new Dwight Amtrak station, built as part of the Illinois High-Speed Rail project between Chicago and St. Louis. through Lansing, Illinois on the former PRR “Panhandle Line” right-of way. Unfortunately this project never came to fruition. 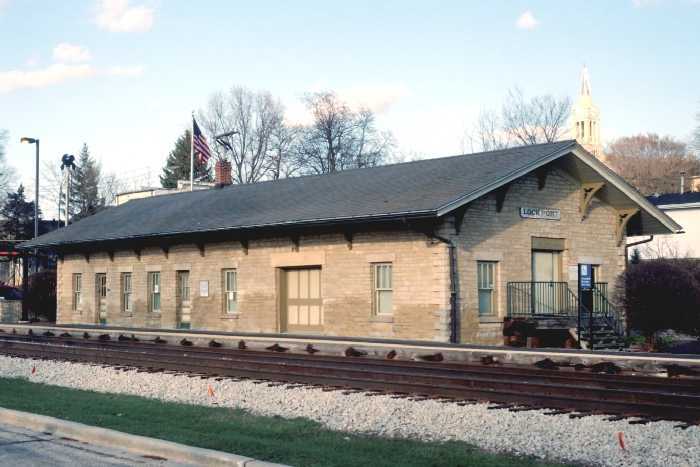 Campaigned for the granting of landmark status of the Wabash depot from North Ritchie, Illinois, which was granted by the Will County Historic Preservation Commission. Encouraging community support for restoration of the recently relocated former Chicago & Alton depot in Braidwood, Illinois.